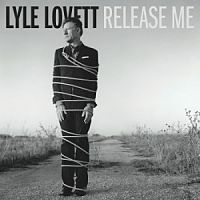 Lyle Lovett - Release Me - Gordon Lightfoot Book, Music and More! Once married to Julia Roberts, the Texas native has become famous for his wry, eclectic style. Lovett’s latest covers everything from swing and gospel to bluegrass. Song highlights include the funny “Keep it Clean” and the gorgeous title track, sung as a country duet with kd lang.